Connects to your current internet solution. Recordings are saved off-site so there is no need for expensive servers. Easy access via the web or mobile apps so you can view your cameras remotely. All connections between our system and Stratocast are protected with HTTPS SSL encryption, and password authentication is required to access any account, ensuring that only authorized users can access your system. Use your existing analog cameras and mix and match subscriptions to meet your specific needs. 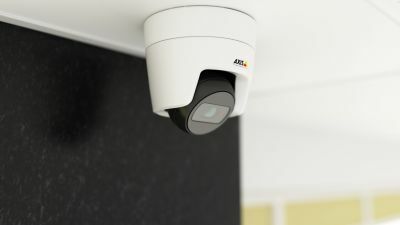 Cameras connect directly to a PoE (Power over Ethernet) switch so there is no need for servers. This is one of the key features that makes this the ideal solution for all businesses. Guaranteed minimum up-time of 99.5% of the time, to ensure you'll always have access to your system when you need it. 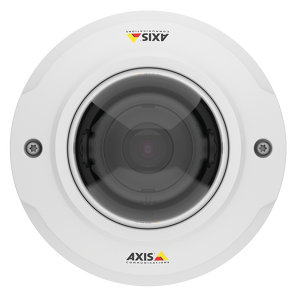 AXIS M3104-LVE is a flexible mini dome that gives you built-in IR illumination and HDTV 720p video quality at an attractive price. 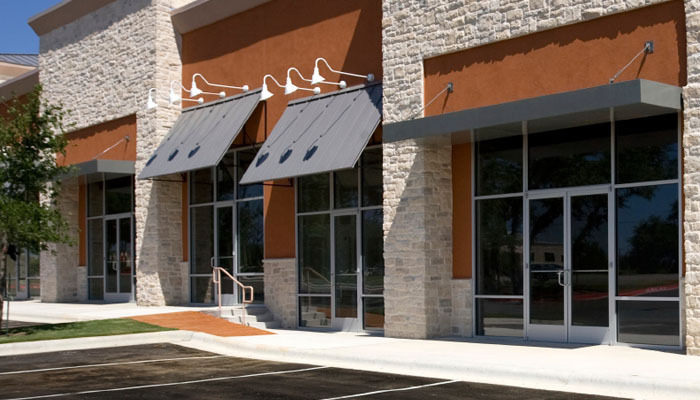 It’s outdoor ready and perfect at the back entrance of a store or hotel, for instance. 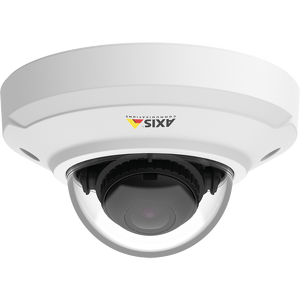 With its built-in IR illumination, AXIS M3104-LVE is ideal for situations where it’s sometimes dark or the lighting can be poor. Its innovative flat-faced design suppresses light reflections to maximize image usability when recording in the dark. 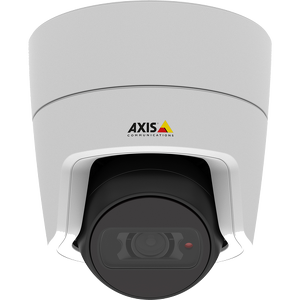 AXIS M3104-LVE also offers Wide Dynamic Range (WDR) – Forensic Capture for excellent detail when light levels vary greatly, for example at entrances with bright daylight outside and dimmer light inside. 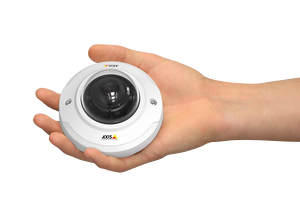 Small and flexible, AXIS M3104-LVE can be mounted on walls or ceilings as you prefer. Its smart design makes it easy to repaint to fit into any environment. And a long list of accessories, including black casing and various mounting kits, means it can be put up just about anywhere. Simple installation of HD video monitoring solution with no need for servers and accessible anywhere. This is video surveillance as it should be.